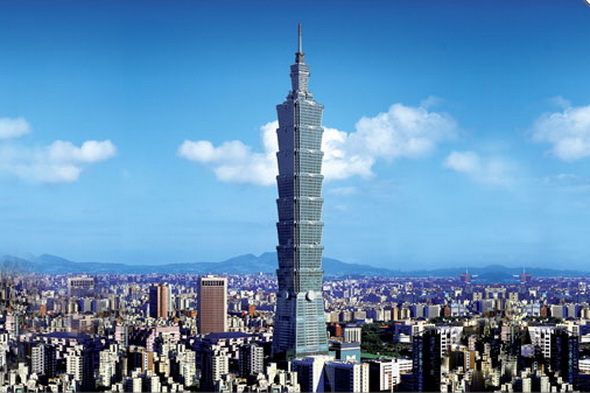 Taiwan’s landmark Taipei 101 skyscraper will host its annual fireworks display on New Year’s Eve as scheduled after the tower found a last-minute sponsorship. This year’s firework show, which costs about 38 million new Taiwan dollars (1.197 million U.S. dollars), will be exclusively sponsored by the non-profit iSee Taiwan Foundation created by the late entrepreneur Sayling Wen in 2003, Taipei Financial Center Corporation, the operator of the skyscraper, announced in a statement on Tuesday of December 23. “TAIPEI 101 New Year fireworks display is an exciting event that people in Taiwan look forward to every year, the fireworks also represent an opportunity for Taiwan to convey a message to the world,” said Audrey Yang, executive director of iSee Taiwan Foundation. The firework show, an annual event for the past decade, was in doubt after Wei Ying-chiao, chairman of the scandal-ridden Ting Hsin International Group, a major shareholder of Taipei 101, resigned as vice chairman and CEO of Taipei Financial Center in late October. Ting Hsin International Group, known for a number of brands including Master Kong instant noodles, is in hot water after two of its subsidiaries were found to have used oil unfit for human consumption. The fireworks are expected to last 218 seconds, starting from the stroke of midnight of the New Year Eve. Taiwan’s deputy leader Wu Den-yih on Wednesday of December 17 stressed the promotion of cross-Strait relations, saying it is vital to the island’s survival and development. Wu, who is acting chairman of the ruling Kuomintang (KMT) party, made the remarks at a meeting of the party’s Central Standing Committee. “We should have firm confidence in boosting the institutionalization of the cross-Strait ties and maintaining benign interaction between the two sides in a bid to seek sustainable stability and prosperity on the basis of adhering to the 1992 Consensus,” Wu said. 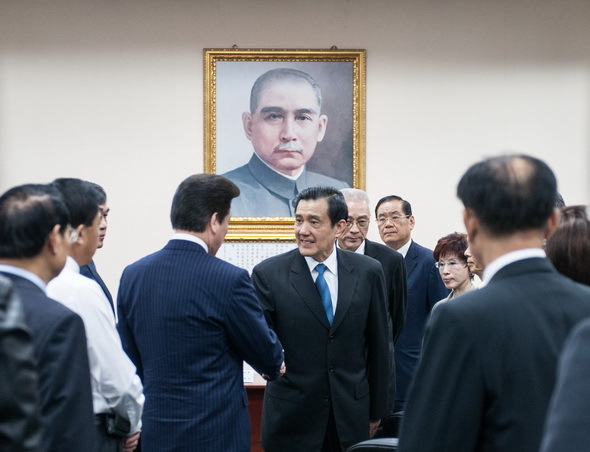 The chairman noted that the results of the recent local elections in which the KMT suffered a crushing defeat cannot be regarded as the public attitude toward the cross-Strait relations development, but the authorities’ drive for ties with the mainland will be affected by the change of circumstances. 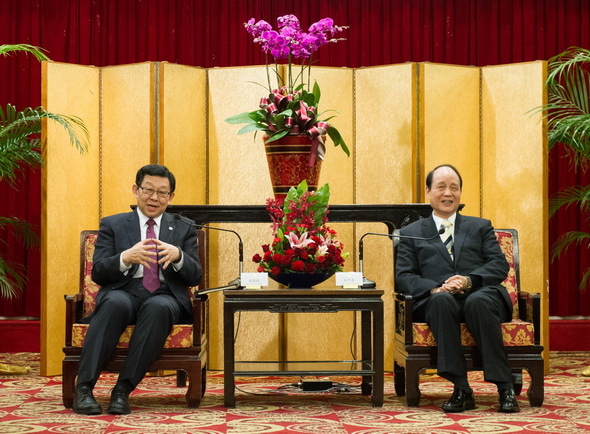 Wu urged the administrative authorities to increase communication with the people and ensure the benefits of economic cooperation across the Taiwan Strait can be shared equally among the general public. The mainland will not change its policies regarding the promotion of relations with Taiwan, a Chinese mainland spokeswoman said on Wednesday of December 17. Fan Liqing, spokeswoman with the State Council Taiwan Affairs Office, made the remarks at a press conference in response to a question on possible impacts on cross-Strait ties after the island’s ruling Kuomintang (KMT) Party suffered a defeat in local elections last month. Moreover, she said the mainland’s stance to Taiwan’s Democratic Progressive Party is very clear, as always. She also urged the island to make efforts to advance the development of cross-Strait ties and ensure cross-Strait peace and stability when issuing policies. Fan expressed her appreciation to the achievements the two sides have made on the basis of adhering to the 1992 Consensus and opposition of “Taiwan independence” since 2008. She wished success for the upcoming KMT chairmanship election in Taiwan after Taiwan leader Ma Ying-jeou stepped down as the chairman and said that previous good practices of positive communications between the CPC and KMT and between the two parties’ leaders should be further carried on. Also, the spokeswoman revealed that the CPC and the KMT have been keeping in touch with each other on issues regarding the 10th Cross-Strait Economic, Trade and Culture Forum, a key communication platform between the mainland and Taiwan. Ten banks from Taiwan and the Chinese mainland on Tuesday of December 16 signed a memorandum of understanding (MOU) on syndicated lending, increasing financial cooperation across the Strait. The MOU on syndicated loans — loans pooled by a group of lenders for a single borrower — was endorsed at the two-day cross-Strait entrepreneurs summit that opened Monday in Taipei. The MOU will make financing across the Strait for small and medium enterprises easier, and stimulate financial cooperation in other fields, said Li Lihui, former president of the Bank of China. Of the 10 banks, five are from the mainland — Bank of China, Bank of Communications, Bank of Nanjing, China Development Bank and China Minsheng Bank — and five from Taiwan: Bank of Taiwan, CTBC Bank, Fubon Financial Bank, Land Bank of Taiwan, and Taiwan Cooperative Bank. In addition to the syndicated loan deal, more than 30 agreements and MOUs were signed, including 24 focused on small enterprises and on creative industries, said Vincent Siew, formerly vice leader of the island, at a press conference. 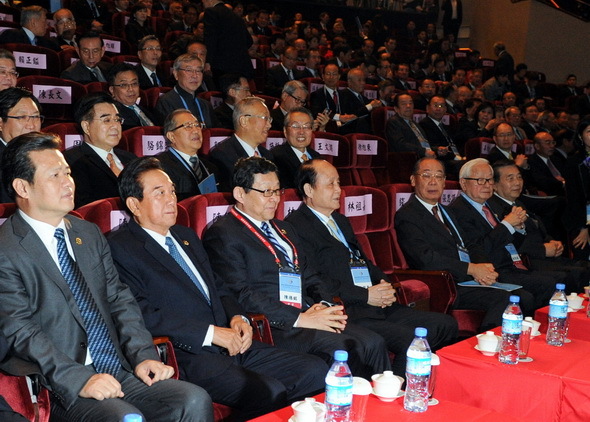 The 2015 summit will be held in the eastern mainland city of Nanjing, Jiangsu Province. The fruits of economic cooperation across the Taiwan Strait should be shared among all the people, on both sides, declared senior officials from the Chinese mainland at a cross-Strait entrepreneurs summit which opened in Taipei on Monday of December 15. 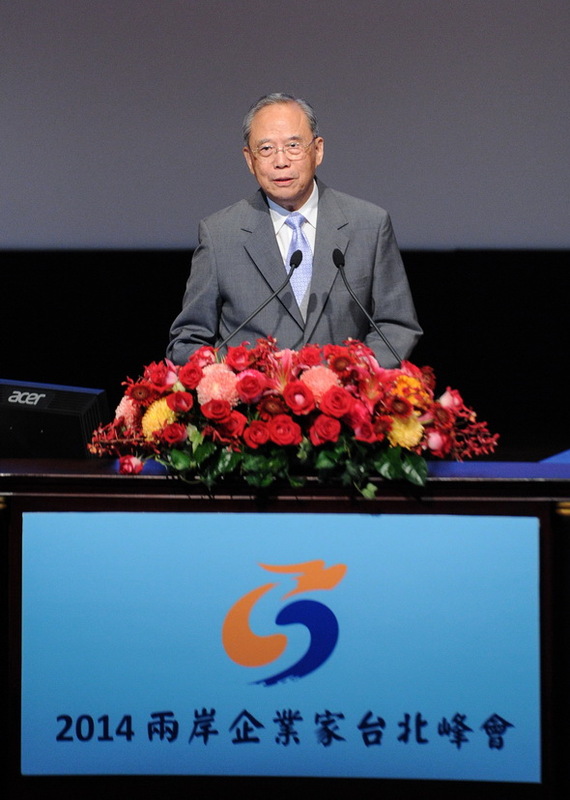 Zeng Peiyan, formerly vice premier, told the opening ceremony that businesses should explore new models of cooperation and extend the benefits of economic development to more people. Zeng pledged his support to both small and medium enterprises from both sides, imploring Taiwan’s young people to start businesses which would bring tangible benefits to the rural population of the island. 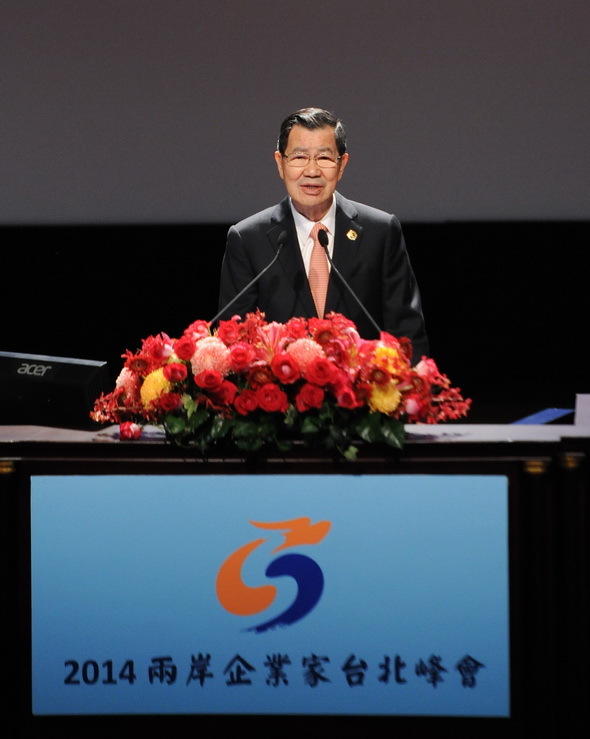 Efforts are needed to create a better business environment across the Strait, Zeng said. 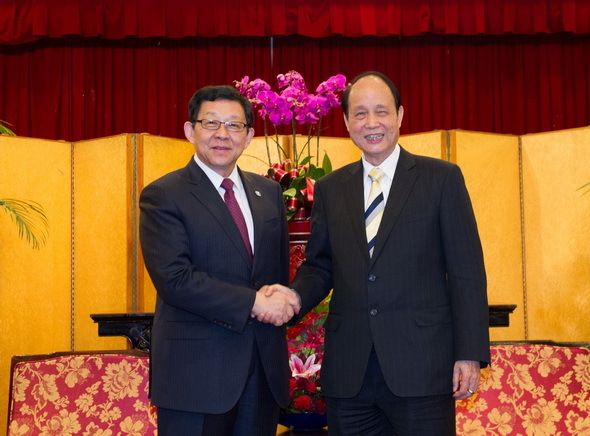 Zeng’s words were echoed by Chen Deming, president of the Association for Relations across the Taiwan Straits, who started an 8-day visit to Taiwan on December 9. “The mainland has a big enough market for both Taiwan’s products and for its young people who would like to seek opportunities there,” Chen told Xinhua at the summit. Small enterprises are vulnerable to capital shortages, and need policy support to compete in the global market, Chen added. Zen’s Taiwan counterpart Vincent Siew, formerly vice leader of the island, spoke about problems with the current state of economic cooperation. He said change must be made to win public trust because growing economic cooperation is an irreversible trend. “Cross-Strait economic cooperation limited to certain industries and groups has failed to share its benefits equally among the general public: Taiwan’s small businesses, young people and ordinary people in general perceive no substantial benefits,” he added. Siew urged speeding up cooperation between small businesses and service industries. 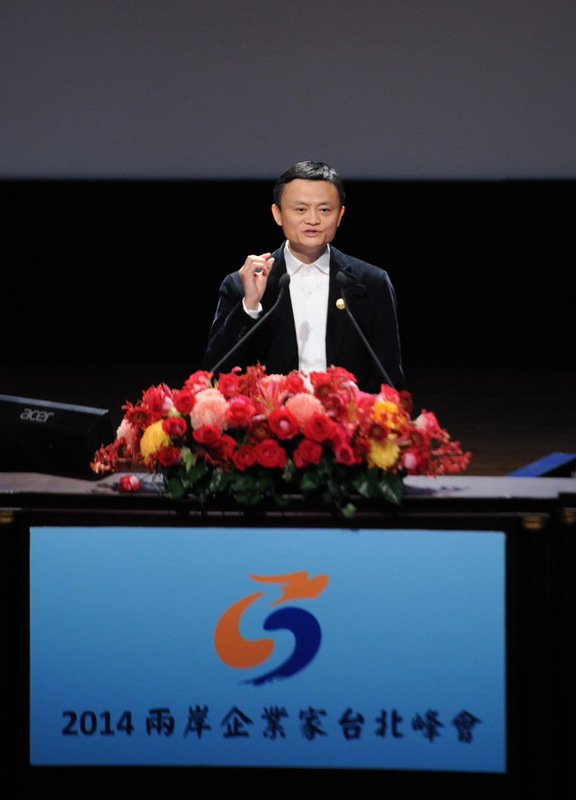 The summit has attracted about 800 entrepreneurs and financiers from both sides, including chairman of Alibaba Group Jack Ma and the mainland’s State Council Taiwan affairs office vice director Gong Qinggai. More than 100 Chinese screenwriters voiced support for Taiwan’s popular romance novelist Chiung Yao, who pressed charges against mainland scriptwriter Yu Zheng and five television companies over alleged plagiarization of her works. A total of 109 screenwriters have signed a joint declaration with a list of their names and posted it on microblog site Sina Weibo on Thursday of December 11, saying they condemn all forms of plagiarism and look forward to justice in the case. The topic is being heatedly discussed on Weibo, with many netizens standing by the side of Chiung Yao and the screenwriters. The declaration has been forwarded by Chiung herself and a number of screenwriters included in the list. Last Friday, the No. 3 Intermediate People’s Court of Beijing held hearings about the plagiarism case. According to the court, Chiung Yao claimed that the plot of TV series “The Palace: The Lost Daughter” has been almost completely copied without permission from her novel “Mei Hua Lao” (Plum Blossom Scar). “The Palace: The Lost Daughter” aired on Hunan Satellite TV on the mainland, while Mei Hua Lao was adapted into a TV series screened in 1993. Chiung Yao also demanded a compensation of 20 million yuan (3.2 million U.S. dollars). In her complaint, Chiung Yao said the defendants had gained huge profits from plagiarizing her works. Meanwhile, she has been writing a new script based on the story of Mei Hua Lao, but the plagiarism has become an obstacle for the shooting of her new TV series and caused her emotional damage. According to her indictment, Chiung Yao asked Yu and the five television companies to stop broadcasting “The Palace: The Lost Daughter” on both TV and the Internet, or releasing any copies of the TV series. And she asked Yu to make a public apology. The defendant has also been asked to cover all the plaintiff’s legal fees. The high-profile showdown has drawn wide discussion and massive media attention from the mainland and Taiwan. Yu denies the plagiarism, saying he is a fan of Chiung with no intention of angering her. Chiung has produced a number of popular romance novels and TV series. Via her microblog at Sina Weibo, Chiung said a team led by Wang Jun from Beijing-based Yingke Law Firm was entrusted to protect her copyright on the mainland. Chen Deming, president of the Chinese mainland-based Association for Relations across the Taiwan Straits (ARATS), said on Wednesday of December 10 that the mainland’s policy of promoting peaceful development of cross-strait ties has not changed. Chen made the remarks in Taipei while meeting with Taiwan media during his eight-day visit to the island starting Tuesday. It is never easy for the mainland and Taiwan to be on the right track of developing peaceful relations, he said, urging the two sides to cherish the current situation and increase mutual understanding to overcome difficulties. During Chen’s meeting with his counterpart Lin Join-sane, chairman of the Taiwan-based Straits Exchange Foundation (SEF) on Tuesday evening, the visiting negotiator vowed to speed up the ongoing negotiations, notably the goods trade pact and establishing offices for the agencies on both sides of the strait. Chen also promised to push for an agreement under which Chinese mainland tourists will be allowed to fly to other overseas destinations via Taiwan. 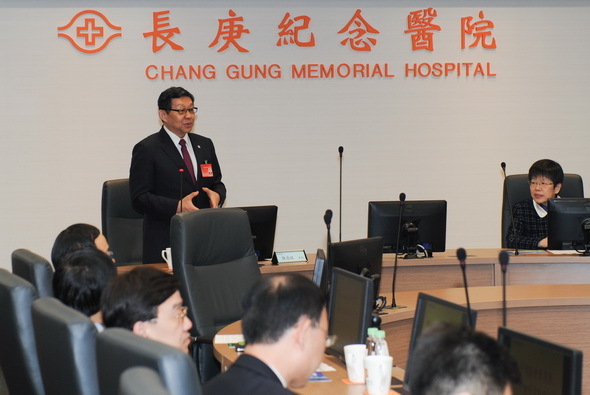 As part of annual exchanges between ARATS and SEF, Chen’s trip includes visiting Taiwan’s volunteer groups and its agriculture, bio-technology, green tourism, and senior citizen welfare sectors. The trip also aims to explore expanding the scope of cooperation between industries of the two sides, upgrade the level of such cooperation, and promote exchanges and communication between volunteers of the two sides. Taiwan’s ruling Kuomintang (KMT) will elect a new chairperson on January 17 of 2015, following the party’s defeat in the island’s biggest-ever local elections. The KMT made the announcement at its Central Standing Committee meeting on Wednesday of December 10. Taiwan leader Ma Ying-jeou stepped down as the chairman on Dec. 3, handing over the reins to the party’s First Vice Chairman Wu Den-yih as interim chief. According to the party’s charter, the interim chief will be tasked with organizing a new election for a replacement to serve out the predecessor’s remaining term within three months of a chairmanship vacancy. The KMT will publicize an election notice on December 11 and cast ballots for the election on January 17. Taiwan’s share prices closed down 1.05 percent on Wednesday of December 10 with the weighted index down 96.74 points at 9,032.16, according to news reaching here from Taipei. Turnover totaled 91.86 billion new Taiwan dollars (2.94 billion U.S.dollars) during the trading session. 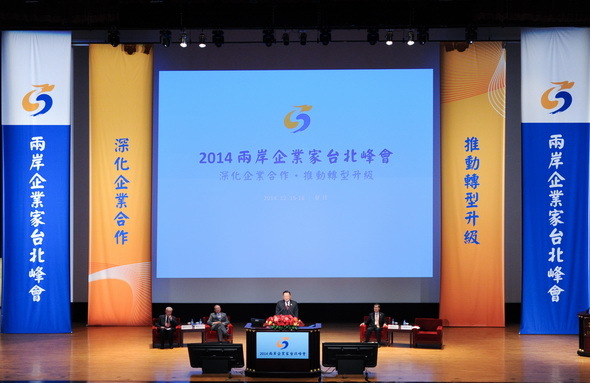 Exchange Foundation (SEF), in Taipei, southeast China’s Taiwan, on December 9, 2014. 2014. Chen arrived in Taiwan on Tuesday noon to start a 8-day visit to the island. 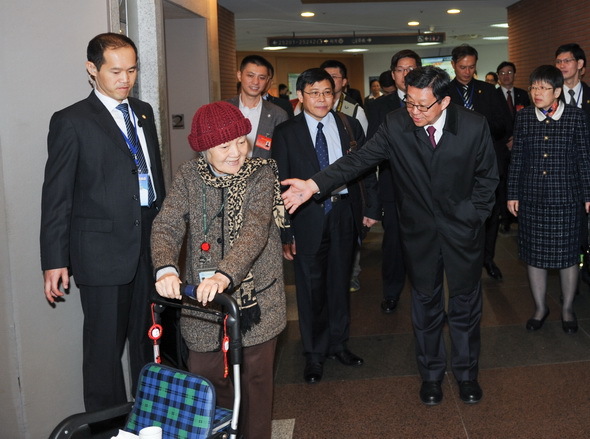 The president of the Chinese mainland-based Association for Relations across the Taiwan Straits (ARATS) Chen Deming arrived in Taiwan on Tuesday noon of December 9 to start a 8-day visit to the island. As part of annual exchanges between ARATS and the Taiwan-based Straits Exchange Foundation (SEF), Chen’s trip includes seeing Taiwan’s agriculture, bio-technology, green tourism, volunteer groups and senior citizen welfare sectors. 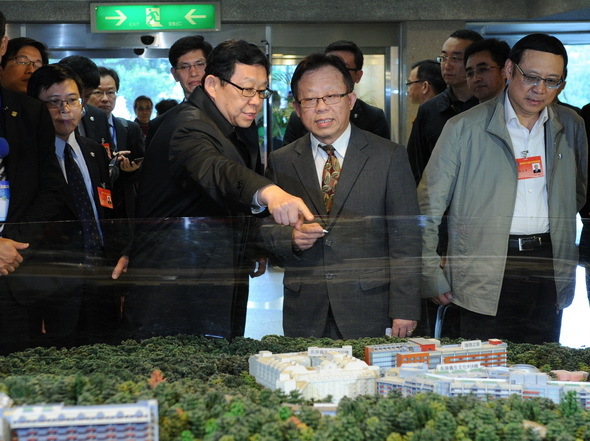 On Tuesday afternoon, Chen visited Linkou Chang Gung Memorial Hospital and a rental residential complex built by Chang Gung for senior citizens in nearby Taoyuan. Chen’s counterpart Lin Join-sane, chairman of the SEF, will host a dinner in honor of the guests around 6 p.m. in Taipei. Taiwan’s share prices closed down 0.63 percent Tuesday with the weighted index down 58.39 points at 9,128.90, according to news reaching here from Taipei. Turnover totaled 87.57 billion new Taiwan dollars (2.81 billion U.S. dollars) during the trading session. 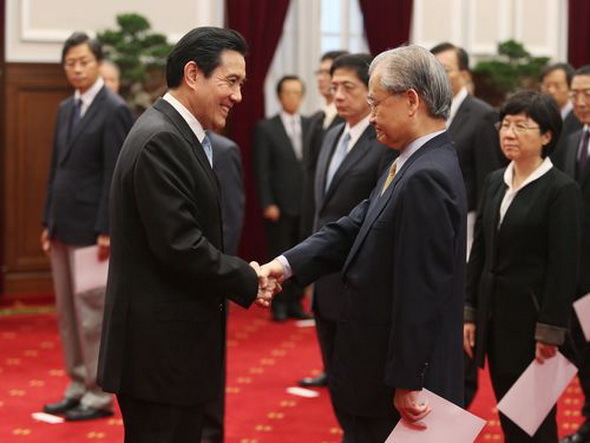 Ma Ying-jeou (left) shakes hands with Mao Chi-kuo. Taiwan’s new chief administrator Mao Chi-kuo and other officials from the administrative authority were sworn in on Monday of December 8, pledging to deepen rapport with the public. Mao officially took over from departing Jiang Yi-huah who resigned soon after the ruling Kuomintang (KMT) party suffered heavy losses in the island’s biggest-ever local elections on November 29. Taiwan’s deputy leader Wu Den-yih, who is serving as the acting chairman of the KMT after the island’s leader Ma Ying-jeou resigned, urged Mao and his team to make sweeping reforms to regain public trust in the incumbent party at the swearing-in ceremony. The chief administrator vowed to increase communication with the legislative authority, pay attention to the people’s demands and take effective action to help young people fulfill their dreams. A suspected Ebola case in Taiwan turned out to be a hoax when the tests on the man involved showed negative, the island’s disease control authorities said on Saturday of December 6. The 19-year-old man claimed he had been vomiting and suffering from diarrhea since he returned from Nigeria where he ate bat meat. In fact, he had no fever after being isolated in a hospital in southern Taiwan’s Kaohsiung City. Disease control authorities found the man had no record of ever having left Taiwan. It is not immediately clear why he had presented such fake information. According to Taiwan’s regulations, a person faces a fine of between 10,000 new Taiwan dollars (320 U.S. dollars) and 150,000 new Taiwan dollars for giving false information about communicable diseases. Taiwan’s disease control authorities said on Saturday of December 6 that a 19-year-old man is suspected of being infected with the Ebola virus. The man has developed symptoms of vomiting and diarrhea since he returned from Nigeria, where he had contact with animals, the authorities said. He is now isolated in a hospital in Kaohsiung City, southern Taiwan. Samples have been sent to Taipei for examination, and authorities will announce the result this afternoon. The authorities called on people to stay calm and have a check-up after returning from West Africa. 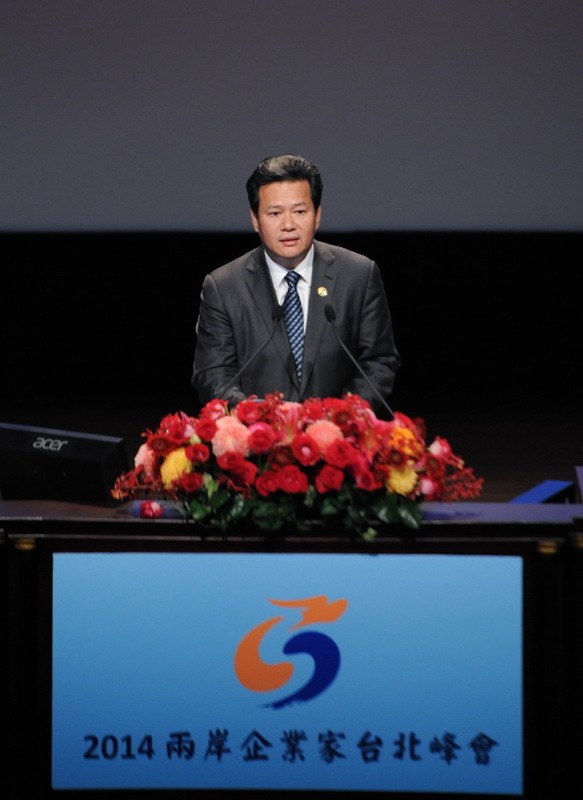 as the party’s chairman in Taipei, southeast China’s Taiwan, on December 3, 2014. 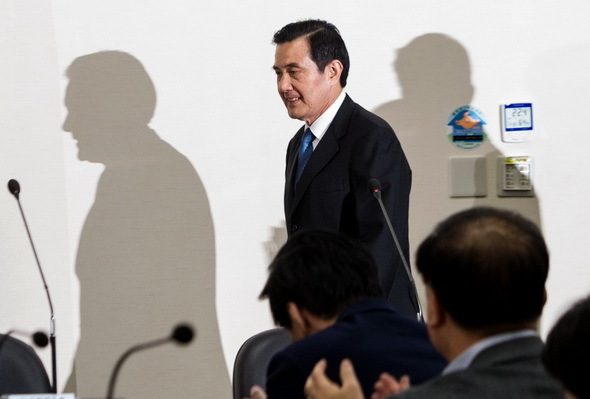 Taiwan leader Ma Ying-jeou stepped down as chairman of the ruling Kuomintang (KMT) party on Wednesday of December 3. Ma made the announcement at the meeting of the party’s Central Standing Committee. According to the party charter, the island’s deputy leader Wu Den-yih, who ranks first among the KMT’s seven vice chairpersons, will serve as the acting chairman. Hung Hsiu-chu, who ranks third among the vice chairpersons, will serve as the acting KMT Secretary-General, replacing Tseng Yung-chuan who resigned on Saturday. Ma urged the acting chairman to hold a chairmanship election as soon as possible in a bid to lead the whole party to pull together. He said the KMT can no longer afford to pay the price of being demoralized or rattled at this time, hoping the public could give the party another chance. Taiwan deputy chief administrator Mao Chi-kuo was appointed as chief of the executive body on Wednesday of December 3, replacing Jiang Yi-huah, who resigned on Saturday. 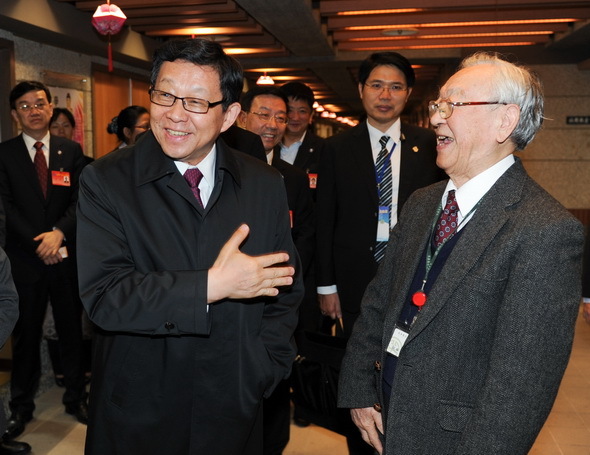 Mao, born in 1948, was promoted to deputy chief administrator in 2013 after having long been in charge of Taiwan’s transport and communications authority.